the sunshine coast turf club’s corbould park racecourse is without a doubt one of the finest thoroughbred horse racing facilities in australia. Each year thousands of local, interstate and international visitors flock to the Sunshine Coast for what is affectionately known as the Corbould Park Experience. 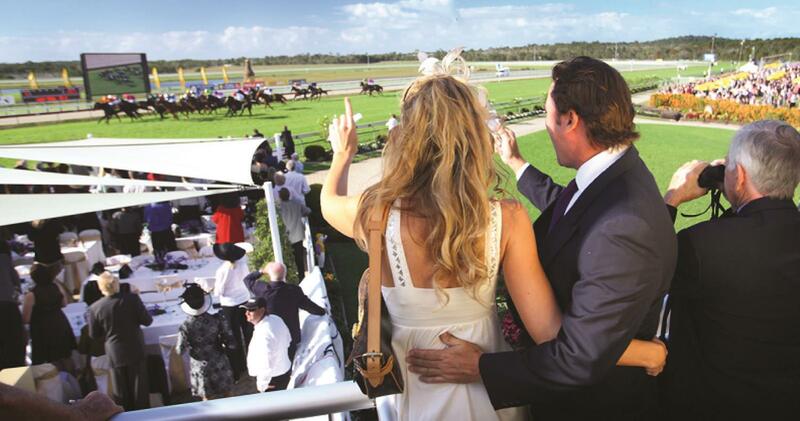 The Caloundra Cup Carnival is a highlight of the Sunshine Coast’s social calendar, and Ladies Oaks Day is rated as the biggest ladies day on the Sunshine Coast. A day at the races is an excellent way in which to enjoy all the excitement of thoroughbred racing, fun with family or friends and the superb weather of the Sunshine Coast. Race meetings are held every Sunday plus feature days.